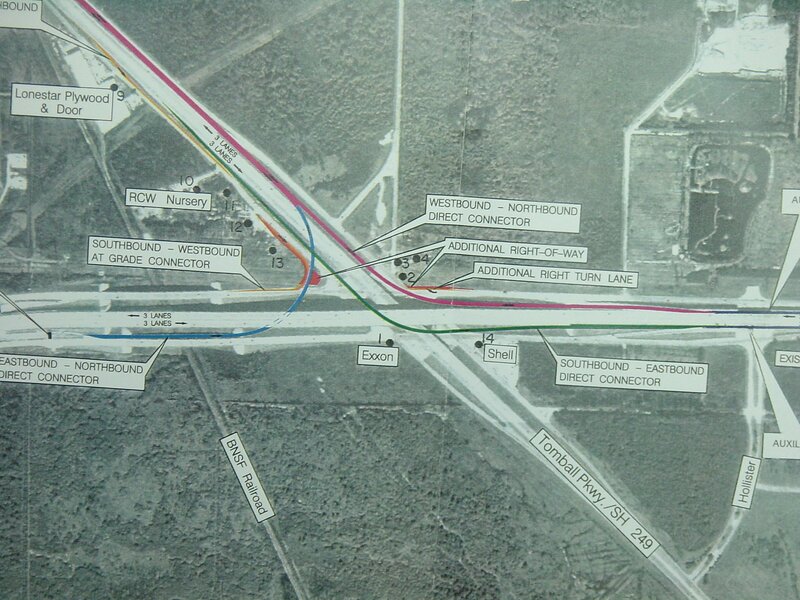 This $27.4 million project is scheduled to be let in August 2002. 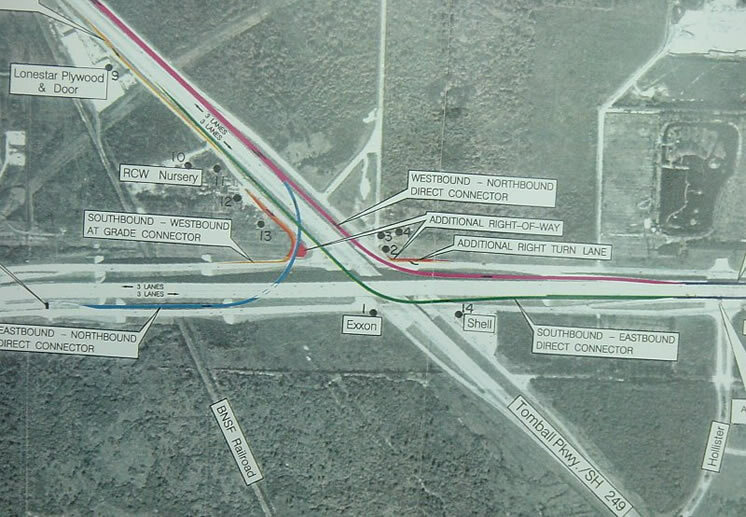 The fourth and much-needed direct connector from 249 south to BW8 west is not being built at this time because of cost reasons. I was surprised to see that the EB BW8 to NB 249 connector goes underneath BW8. The end of the main lanes. In the foreground are the remains of the old four-lane highway, currently being removed. 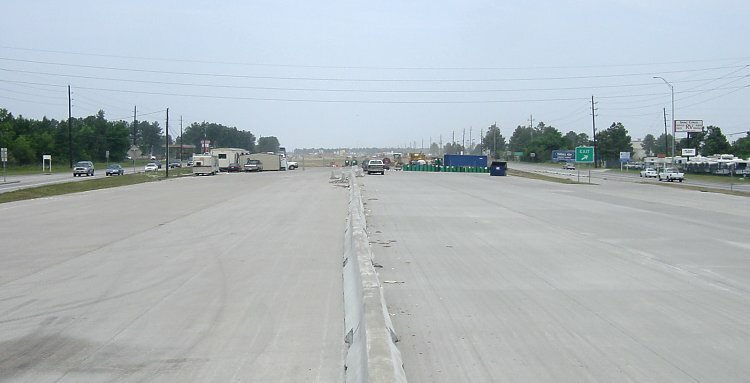 On the far left and near right are the just-completed frontage roads. View looks north. The abandoned old highway. The future main freeway lanes will be built in this spot. The frontage roads can be seen at the far edges. The freeway corridor width is 350 feet.